In the northern heart of Libya sits the town of Sirte. It is the hometown of Muammar Gaddafi, who was killed there by local militiamen after a NATO missile stopped his convoy on their behalf. A militia group from the western town of Misrata had taken control of the town, much to the annoyance of the local population. Local officials and elders complained about their fate. They had been delivered to what many saw as an occupying force. Older sympathies for Gaddafi went underground. Loyalty to Gaddafi had been declared a crime. That section of society muted itself for the time being. This year, in late summer, the Islamic State group appeared in Sirte and now flies its black flag from Sirte’s tall buildings. Not 400 miles south of Europe sits this branch of the caliphate. It is not to be easily dislodged. How did IS seize Sirte? The answer lies somewhere between the general political chaos in Libya, the fight over oil and the disgruntlement of the old Gaddafi guard. All around this is the question of oil. The new report from the International Crisis Group – The Prize: Fighting for Libya’s Energy Wealth (December 3) – has elements of the answer. It points a finger at the battle over oil installations on the doorstep of Sirte. The Tripoli government’s Petroleum Defense Guards – led by Ibrahim Jadran – was to maintain order in the oil installations. But Jadran fell out with the groups in Tripoli and decided to operate on his own. He has secessionist tendencies, wanting Libya’s east to break away. Conflict between Jadran’s forces and the militia from Misrata – Fajr Libya, also known as Libya Dawn – broke out in December 2014. The battlefield comprised the oil installations along the Gulf of Sidra. Aerial bombing by Libya’s second government, based in Tobruk-Bayda, against the Misrata forces turned the tide, but did not give anyone the advantage. This has been the classic impasse in Libya. No-one has been able to seize the day. Warfare in that area has curtailed oil production. An already desperate population hunkered down, jobless and uncertain. Caught between two governments, the militias fought to control the oil fields and oil installations. They destroyed as much as they won. 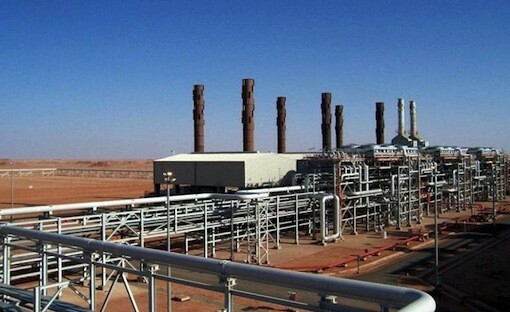 Libya’s vast oil and natural gas wealth is the prize. Over the Tunisian border and via the eastern provinces of Libya came fighters from outside the country, as well as veterans of the Libyan Islamic Fighting Group and Ansar al-Shariah. Chaos allowed them to settle in Sirte. They were drawn to IS by its audacity. Their own groups seemed petty in comparison to its grand designs. In Dernah, to the east, entrenched extremism would have to be uprooted for IS to establish itself. Even in Sirte, authority figures – such as the Salafi cleric Khaled Ferjani – had to be killed before an IS branch could be set up. An uprising of Ferjani’s followers was crushed in a few days. His mosque was renamed to honour Abu Musab al-Zarqawi, the Jordanian militant who founded al-Qaeda in Iraq – the ancestor of IS. It provided IS with an excuse to remove all those who opposed it within the city. It also allowed former Gaddafi followers to sign up – not because they ascribe to the ideology of “the caliphate”, but because they saw it (as a source told me) as a way out from their isolation. It has been convenient to say that IS in Sirte is made up of foreigners. This is not entirely the case. One of its most outspoken leaders is Hassan al-Karami, who comes from Benghazi and was involved there with Ansar al-Sharia. Thus far, IS in Libya has no access to the kinds of oil fields that it holds in Iraq and Syria. It is not far from crucial oil infrastructure, but does not control it. Over the final months of 2015, IS has attempted to destroy oil pumping stations and other installations in Mabruk, Dahra, Ghani, Bahi and elsewhere. The point, as the ICG report notes, is not “to seize the fields but to damage the country’s economic lifeline in order to weaken the state and allegedly to weaken as well European countries heavily reliant on Libyan oil”. Most of Libya’s oil last year went to Europe, with Italy being the main beneficiary. This is what IS would like to target. For Libya to wake from this nightmare seems impossible. Last Sunday, the two governments in Tripoli and in Tobruk-Bayda agreed to hold elections within two years and to create a political process for the interim period. They have agreed to create a government of national reconciliation. There are, however, forces within each of the camps that are opposed to this idea of unity. One of the most dangerous errors would be if the Tobruk government persists in creating its own central bank and oil ministry, duplicating those in Tripoli. Once these are established, the divides will remain open. The feeling is that the UN forced this resolution through – a UN dented by allegations that its previous envoy had accepted favours from the United Arab Emirates to favour Libya’s UAE proxies. It is as likely as not that this reconciliation will be short-lived. Human rights violations are routine. A Human Rights Watch report – The Endless Wait: Long-term Arbitrary Detentions and Torture in Western Libya (December 2) – points out that thousands of political prisoners remain behind bars since 2011. They have never been charged. This provides no assurance to Gaddafi loyalists that they will not meet a similar fate. IS, for them, is a far more secure investment. Vijay Prashad, director of International Studies at Trinity College, is the editor of Letters to Palestine (Verso). He lives in Northampton.